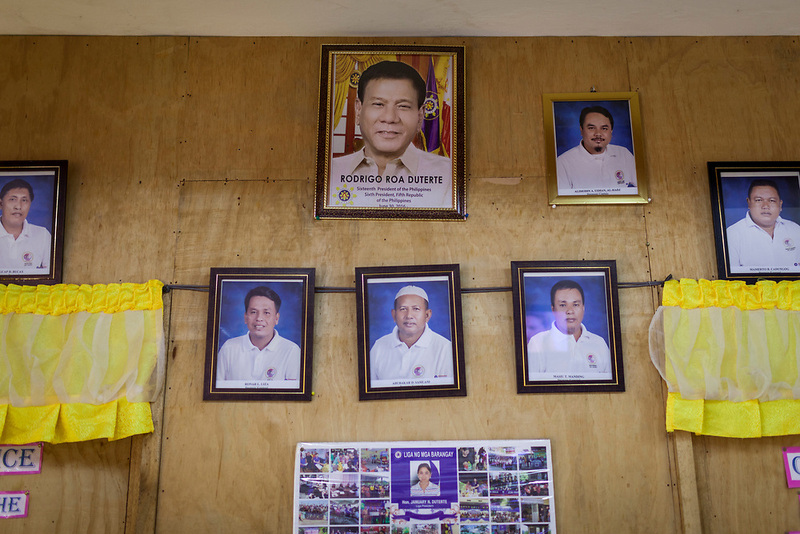 Davao City, Mindanao, Philippines - JUNE 22: A photo of President Duterte is seen inside the Mini Forest Barangay 23C Office. The office distribute supplies to evacuees from Marawi. Thousands of Marawi residents have escape the ongoing conflict after the ISIS backed Maute Group has sieged the city. Currently, over 570 families and roughly 2500 evacuees from Marawi reside in the Mini Forest.